There are two different classes offered: ASHI Adult CPR and First Aid, and AHA Health Care Provider (HCP) CPR. Classes may be canceled if not enough people sign up, please check your email before leaving for class. Health Care Provider (HCP) CPR is a professional level class and not everyone can pass this class. You need to be on your knees and there is vigorous exercise. For folks taking the HCP CPR course, they would join the first half of one of the Heart Saver classes to complete the FA component. 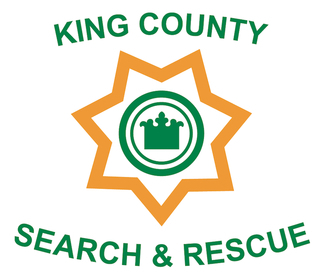 "KCSARA Headquarters" is the new KCSARA storage facility in Snoqualmie at 34501 SE 99th St, Snoqualmie, WA 98065 (The site is located at the first right as you go up the hill from the Hwy 18 and I-90 interchange on Snoqualmie Parkway). "Issaquah ESF" is the Eastside Fire Admin Building at 175 Newport Way NW Issaquah, WA 98027. "Bellevue FS#1" is the Bellevue Fire Station #1 at 766 Bellevue Way SE, Bellevue, WA 98004. Further details will be sent to class participants prior to the event.